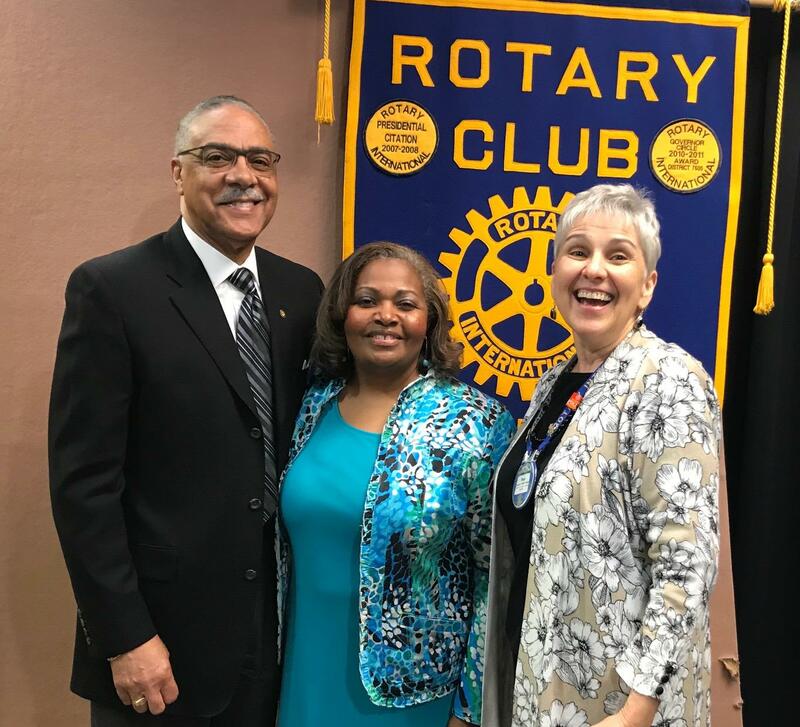 Welcome to the Rotary Club of Norfolk – a vibrant group of community leaders who enjoy being part of southeastern Virginia’s oldest and largest service club. Our nearly 140 members come from throughout Hampton Roads and share a passion for community service and fellowship. We value always learning something new, having fun and working together to make our community and world better. If I can help connect you to Rotary International and our club please let me know. Meets three Tuesdays a month at 12:15 p.m. See Calendar for details. Long-time Norfolk Rotarians may recall that it was Harry’s idea, back in 1991, to start a club endowment. He was among the first donors, too. The endowment was created when Mark Shaw (Harry's son-in-law) was president, but Harry is generally credited with generating the club endowment idea. 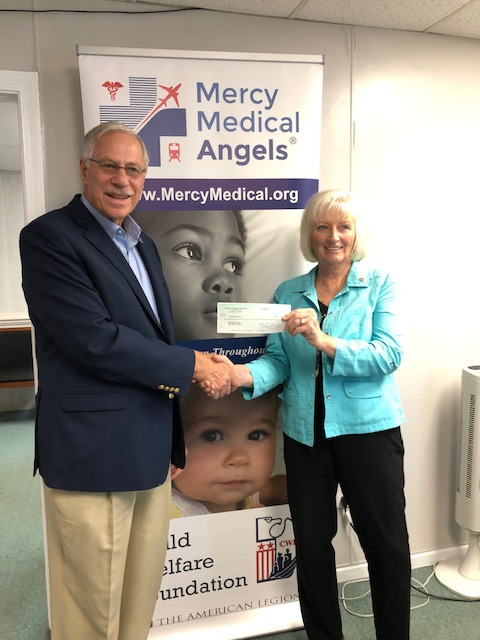 Norfolk Rotary Endowment has provided a grant to Medical Mercy Angels to provide transport of Hampton Roads residents to medical treatment. Founded in 1972, Medical Mercy Angels meets the needs of patients and their families who need to travel long distances for medical treatment. Picture above are Robb Alpaugh, President & CEO, and Rotarian Lorna Cochrane. 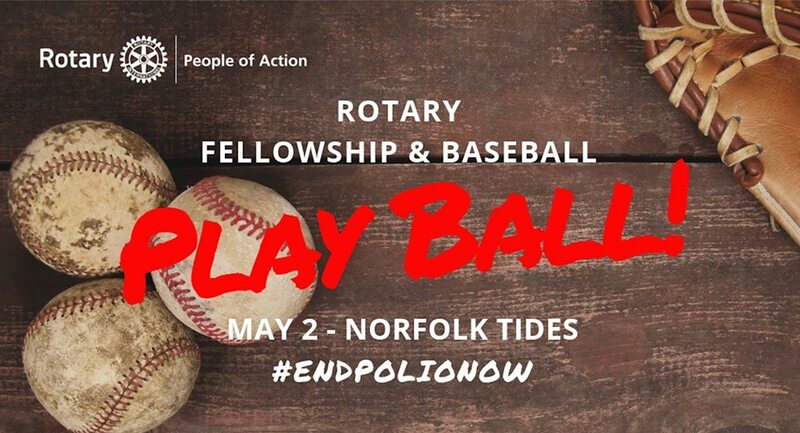 Funds to support Medical Mercy Angels and other grants from the Norfolk Rotary Endowment comes from the generosity of Rotarians and from our major fundraisers, Suds & Buds to be held at Norfolk Botanical Garden on May 17, and Growl Fest at the Virginia Zoo in the fall. Join us at these fun events. 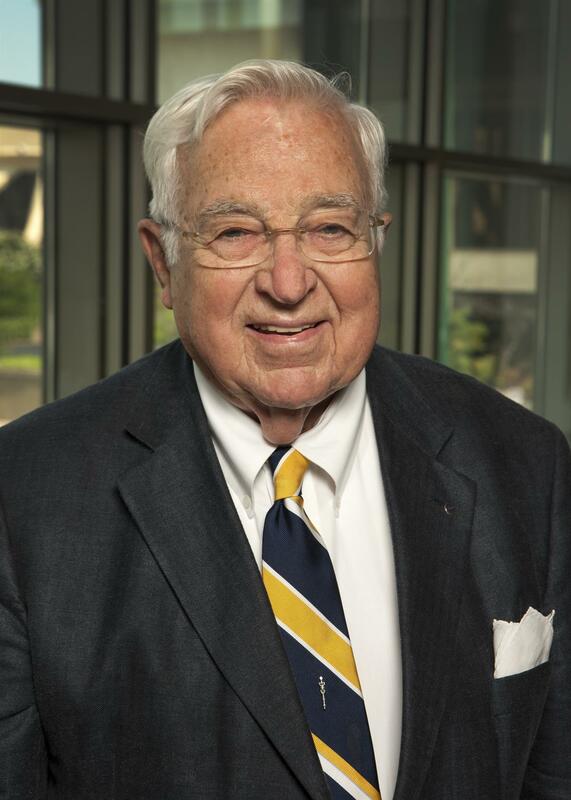 Through Bryce Burton’s generous contributions, The Rotary Foundation mission to advance world understanding, goodwill, and peace through the improvement of health, the support of education, and the alleviation of poverty. 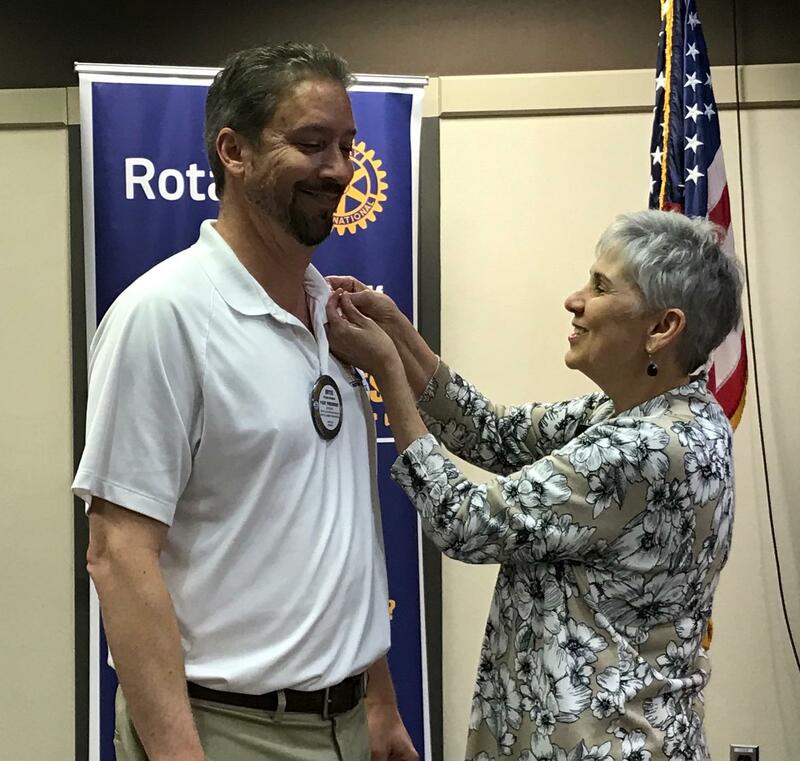 Pictured above, Bryce is being presented his Paul Harris Fellow + 2 pin by President Pam Tubbs. Spring is upon us, and so is baseball season! In the last 4 years, D7600 clubs have raised nearly $43,000 to End Polio Now, matched 2:1 by the Gates Foundation. Let’s keep this momentum going and set a new record year for ticket and t-shirt sales supporting END POLIO NOW Night at Harbor Park! “We are This Close”--and we're making a real difference for the kids of the world while having a fun filled Rotary night at the ballpark! Our Norfolk Tides will be playing the Charlotte Knights. Gates open at 5:30; game time is 6:35 p.m. At least $2.50 of each ticket purchased will be donated to End Polio Now in our club's name. Game admission tickets are $13.00 each. President Pam has about ten left to sell, so call her first and avoid the credit card purchase fee!...otherwise, tickets may be purchased at the gate, or online (visit the event on our club calendar for details). Don't forget to wear your red End Polio Now t-shirt! END POLIO NOW t-shirts are available by emailing Stan and Debbie at stan.debbie.rotary@comcast.net.